Ewebtonic company offers extreme level of e-commerce solutions through OPENCART, an 'easy to use' open source of zippy-zappy kind, which allows you to create online store promptly to sell your goods and products with no time at all. It is jam-packed with the features of installation and up-gradation for your website, unique ability for theme development, custom modules development, application development, website optimization. It also helps in the maintenance of the work even after completion of your website. 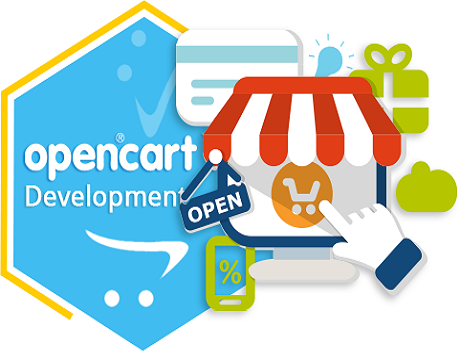 In order to create a profit-generating website, you need to have Opencart services, Bihar, which provides flexible payment options for multiple-currency, multi-language mode for every kind of customer. Moreover, it also provides you with the tailor-like option to automatically re size your Image. Our company offers unlimited categories to make shopping experience of your customers a fantastic one, through the finest and exceptional-featured OPENCART which is absolutely a search engine friendly source. Our brainy-designers makes every effort to provide your consumers the easy and happy functionality through our services, with the benefits of WIDE VARIETY OF PLUG-INS, technical support, server resources, and that too in very economical cost. We make sure that your e-commerce website gives you all fruitful aspects through our Opencart co, Bihar. Its is the spirit of our Opencart solutions that takes your business beyond your dreams.